Iris Elizabeth built in fibreglass to go oyster dredging in the Carrick Roads after being used almost continuously for dredging since she was built, her new owner purchased her knowing a major refit was needed. Stripping the boat of all its fixtures and fittings. Stripping all surfaces back to bare fibreglass and re-gelling. Replacing the capping rails and cockpit coamings in teak. Re-instating all fixtures and fittings. Solent Sunbeam No2 new archboard fitted. 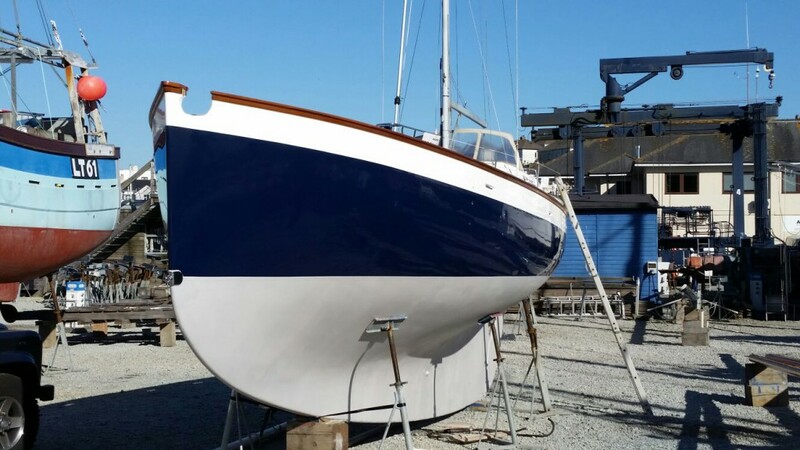 See stories for more details. . . . #boatbuilding #classicboats #sailingyacht #woodenboat #woodenboatsarebetter.. Thank you to @jackgiffordmarinedesignstudio for this photo of Kathleen. She’s in the water for a bit while she takes up, letting the new timbers..
Merry Christmas to all of our lovely customers. Thank you for all of your support in 2018. Enjoy the Christmas holidays. We re open on the 2nd..
K a t h l e e n 1800’s Gaff Rig in for a total restoration including a new keel. . . . #boatshed #boat #gaffrig #restorationhardwareinspired..